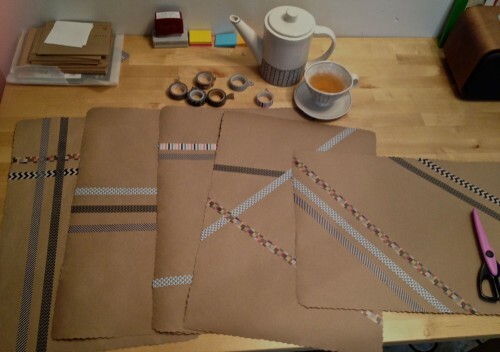 One of the craft projects I came up with for the wedding were these kraft paper and washi tape placemats for all of the table settings. I was really happy with how they turned out–fun and graphic and colorful, special without being fussy. Assorted washi tape. I used about a dozen different tapes in black/white, gray/white, gray/black, and red or multicolored patterns for the most part. Fancy-edge scissors. I can’t find the exact assortment I bought, but this is close. The one I used in yellow in this grouping, but was pink in mine. 1. 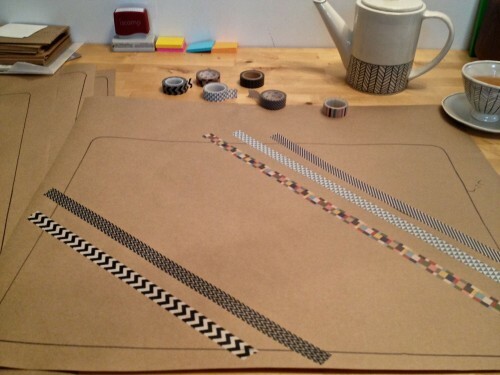 Start by tracing off a few placemats and cut them out roughly, leaving plenty of room around the outline. 2. 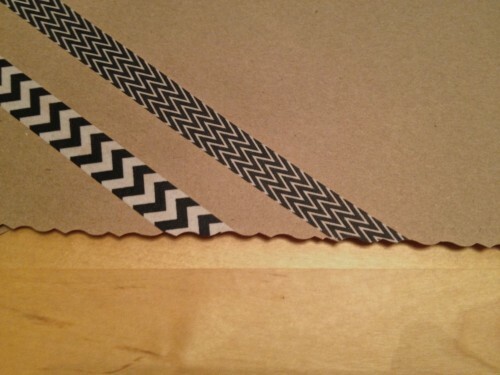 Apply the washi tape in whatever patterns you like, making sure the ends go outside the traced outline. 3. Cut just inside the outline with the fancy-edge scissors. 4. Keep going until you have as many as you need, plus a few extras, of course. I found it easiest to trace off a dozen at a time, and go through the whole process on that batch before tracing more. If I’d had a standing-height work table (someday! 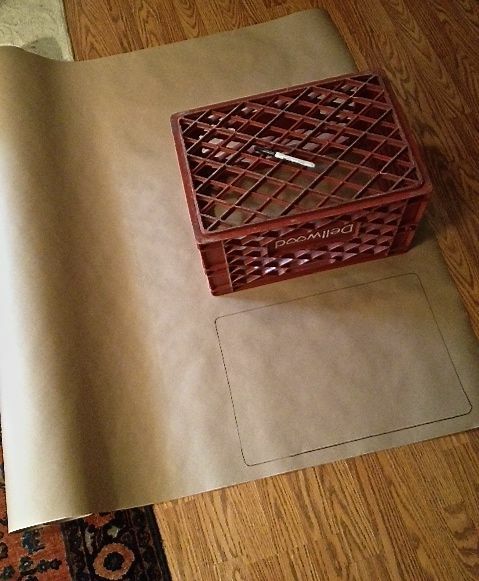 ), it might have been easier, but I found wrangling the big roll of kraft paper on the floor to be hard on my back and just plain annoying. The scrapbooking scissors were kind of rough on my hands too. Spacing out tasks out a little made everything much more pleasant. The fancy-edge scissors are not essential here, but they do elevate the project that little bit. I ended up developing ten “patterns” or so with the tapes that I did over and over in different variations: parallel lines evenly spaced, parallel diagonals, intersecting diagonals, plaid, etc. Not having to wait for the muse to strike for each blank mat saved a lot of time and energy. Plus, it made it easy to have a variety of patterns at each table. Did anyone but me notice? Probably not. STILL WORTH IT.